The birthday boy wanted to go to Hard Rock Cafe for his birthday. 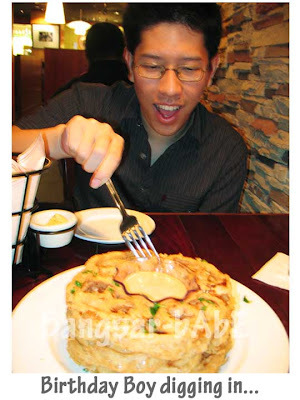 Sadly, it was still under renovation so he chose Tony Roma instead. During our previous visit, we were less than impressed with their burger and sandwich. 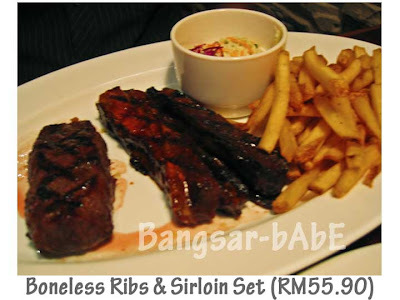 This time, he ordered the boneless ribs and sirloin steak set. rif chose chips and coleslaw for his sides, plus blue cheese topping for his steak (add-on). 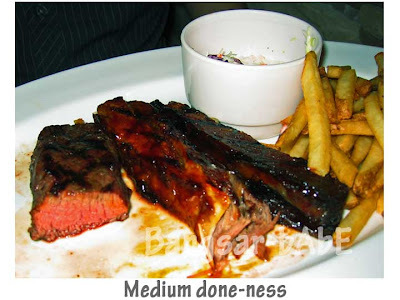 Beautifully basted, the fork-tender ribs had a delicious smoky BBQ taste. I couldn’t help but wonder what if they had used the “real thing” instead of a cow. The beef steak was quite good. With medium done-ness, it was juicy, tender and full of flavour. 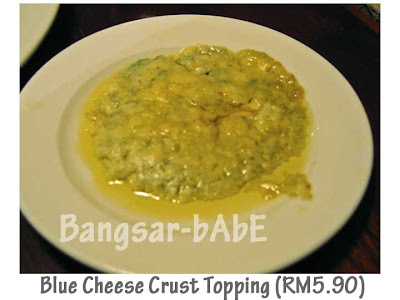 I thought the blue cheese sauce was unnecessary – the steak was good on its own. 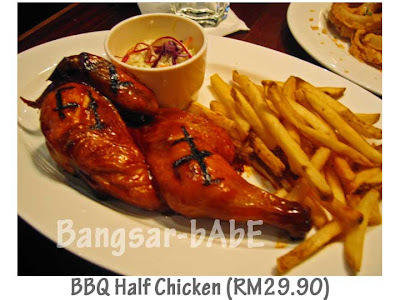 My BBQ Half Chicken was quite a generous portion and came with a serving of fries and coleslaw. Basted in original BBQ sauce and charbroiled, the chicken was surprisingly juicy and tender, even the breast. I loved the sweetish, smoky flavour of the chicken. The coleslaw was decent, the cabbage was crunchy and nice. I can’t stand soggy coleslaw. The fries were under-seasoned and lacked crispiness on the outside. Though palatable, it couldn’t compare to the crispy fries from McDonald’s. 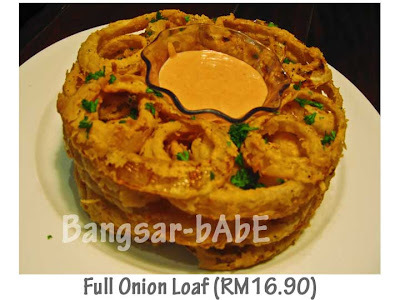 Besides our mains, we also had the full onion loaf. Very moreish, but so bad for the waistline. Their service this time around was disappointing. A far cry from the service we received on our previous visit. Bad enough we were given a small table, the wait staff were all over the place and it was difficult to get their attention. It made me quite annoyed having to wave repeatedly for them to clear our tiny table (hardly any space for 2 plates of mains). Verdict: This is the place for good beef ribs.